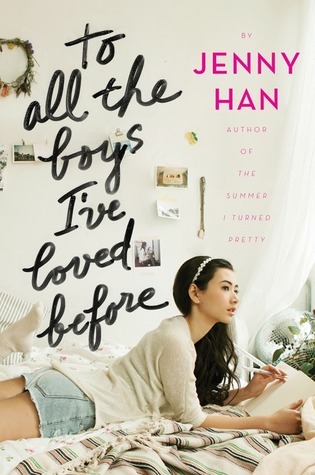 I was very much keen to read To All The Boys I've Loved Before, but I was surprised by how different the story played out compared to what I thought it'd be like. Jenny Han drew me into the story easily considering I was in a massive reading slump before reading this. I flew through the book, immersed in how the plot unraveled as each boy received their letters. I could already guess how the letters were sent and I was proven right, although that's not really the point of the story. It's pretty much a predictable love story but for all it's overused methods, I found myself smiling along with each cheesy line and cute moment. It was sweet, I'll admit, and I loved it! Other than that though, the story also introduced elements of family relationships and friendships. Han really explores the bond of sisters through Margot, Lara and Kitty. Their relationship is relatable but also teaches us something valuable that I should take on when dealing with my own siblings - oops. The characters are likeable enough, delivering their own issues that I could connect with. Lara has to learn to cope with her own feelings and the responsibilities she finds herself taking on. It's not easy and I can really relate to that. Her love interests are both likeable as well, even if I was routing for one of them. They both had their own attractive side and it was hard not to swoon. I had really hoped the story would end how I wanted it to, but seeing as how it's a series a new conflict had to arise. That's probably why I've deducted a star - because the ending did make me frustrated and a little disappointed. I'm really hoping the second book gives me more of what I want, and that the romance does work out. To All The Boys I've Loved Before was a sweet and easy read, with enough depth that it drew me in emotionally. It is a romance no matter how you look at it, but not sickly loved up with other areas involved. If you're looking for something simple to read and enjoy, this is right up your alley.